The old city of Jaffa is one of the most attractive and diverse sites to tour in Tel Aviv-Jaffa. This ancient city which had always been the gateway to the holy land since the beginning of its existence has kept its uniqueness to this day. Its traditional aromas and fragrances which have always characterized it, Jaffa’s beautiful architecture of stone buildings, narrow, alleys, the fisherman’s port which all seem to have been untouched and the same traditional cafés, ethnic restaurants and shops give to a biblical atmosphere. 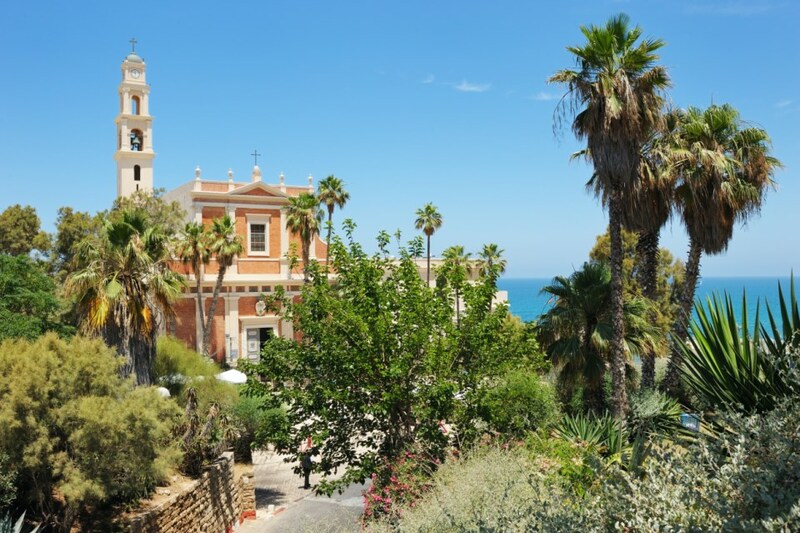 In Jaffa there are still quite a few well preserved ancient churches, which are among the most beautiful in Israel, serving the city’s Christian community and accept any visitors of any faith with open doors. 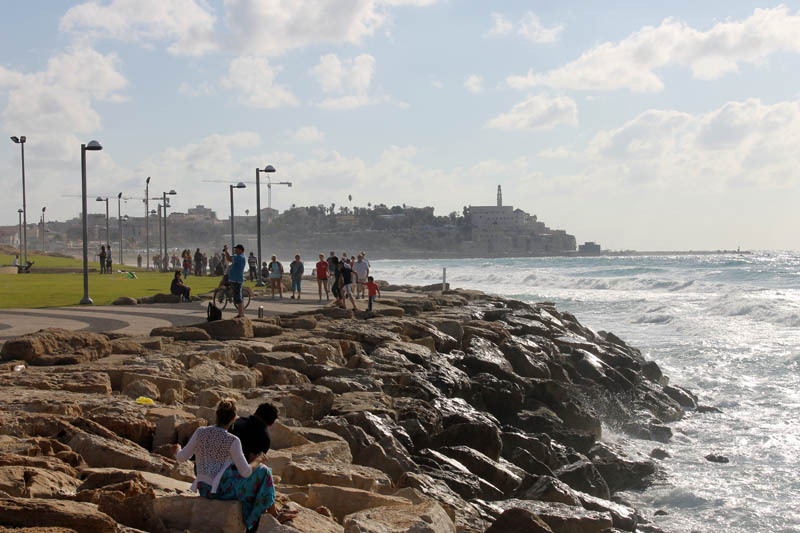 It is highly recommended to walk towards Jaffa along the Tel Aviv Promenade, which begins in North Tel Aviv and ends at the Jaffa Port. Once you pass Charles Clore Park you will enter Jaffa and immediately feel the difference between Tel-Aviv’s modern western look to Jaffa’s preserved ancient appearance. It is advised that you take the less crowded routes of the narrow alleys and stone steps which all usually lead to the city’s main point the Clock Square, where Clock Tower can be found. This tower was built by the Turkish Sultan Abed-el-Hamid II in 1906. This is a good land mark and is the starting point for our tour. 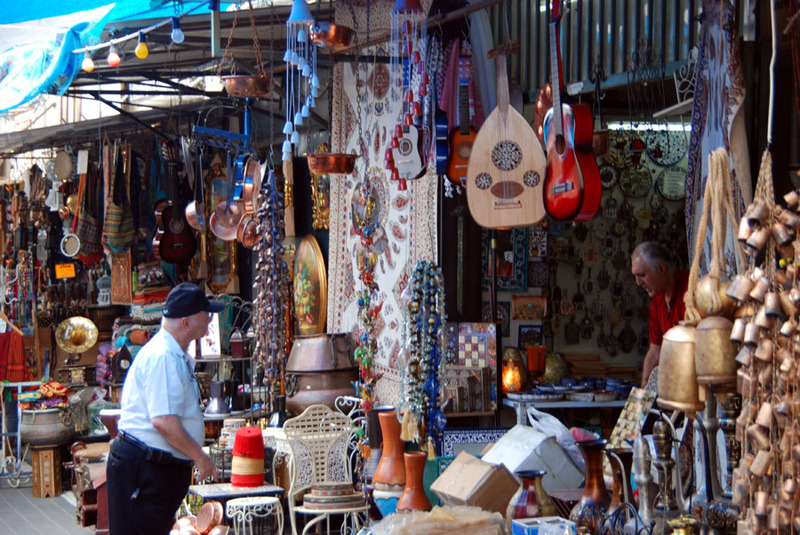 Not Far from the Clock Square if you head east you will find Jaffa’s Flea Market, besides for the fact that it is possible to find almost everything in this market it is without a doubt one of Jaffa’s beauty spot. It is worthwhile just to wander around its alleyways, where there are many historic buildings of archeological significance, which are today being preserved and renovated. Now it is time to continue westward and reach the main attraction, the actual Old city of Jaffa. The area is situated on a high hill, so it can’t be missed. 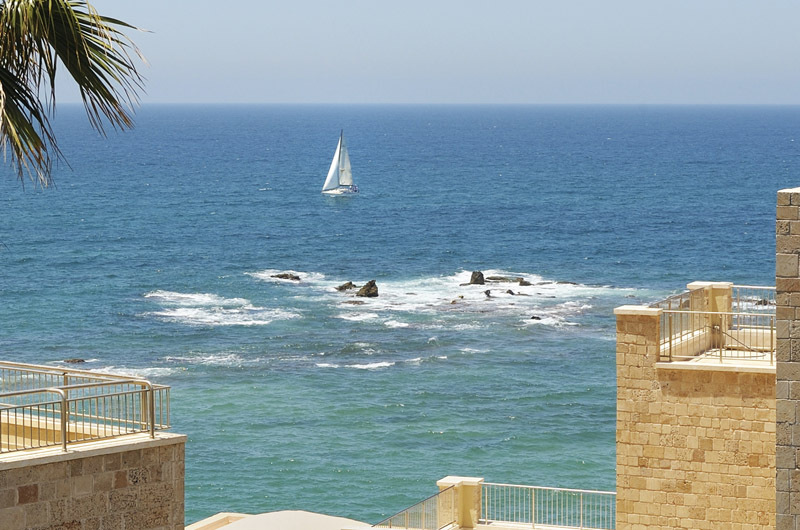 It overlooks the sea and Tel Aviv from the South, a marvelous and beautiful sight. Kikar Kedumim is situated in the center of the hill that is where the visitors’ center is and the film on the history of Jaffa shown, definitely worth seeing. The alleys of Old Jaffa are named after the signs of the Zodiac and there are many artists’ galleries and Judaica shops, jewelry and art from top artists to be found. A pleasant stroll along these lanes is a very special experience and is recommended to combine it with a good traditional meal and fine drinks which are more than available at one of the local restaurant or cafes. 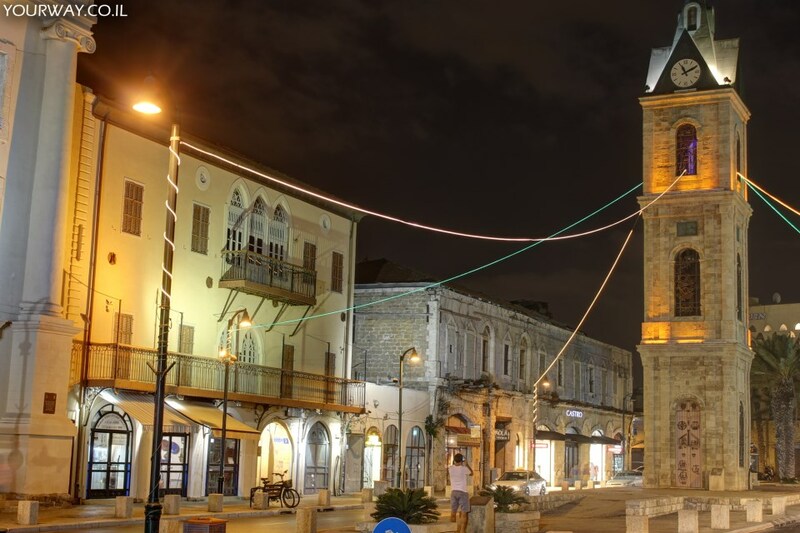 On Festive days or the Sabbath, Old Jaffa lights up with street artists and a festive atmosphere which attracts many tourists and local visitors. 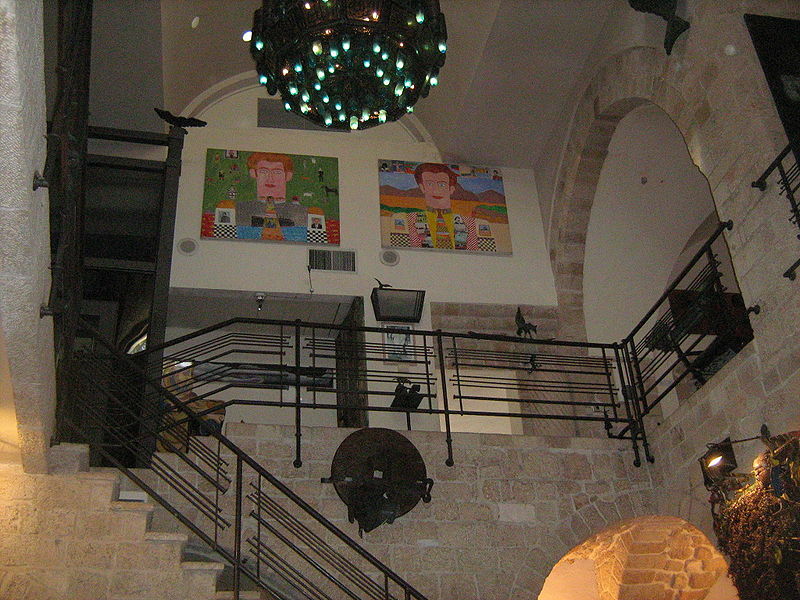 One of the most interesting and recommended sites is the Ilana Goor Museum, the home of the artist, which was formerly a hotel for visitors which was elegantly renovated and overlooks an outstanding view with many of her masterpieces all over. 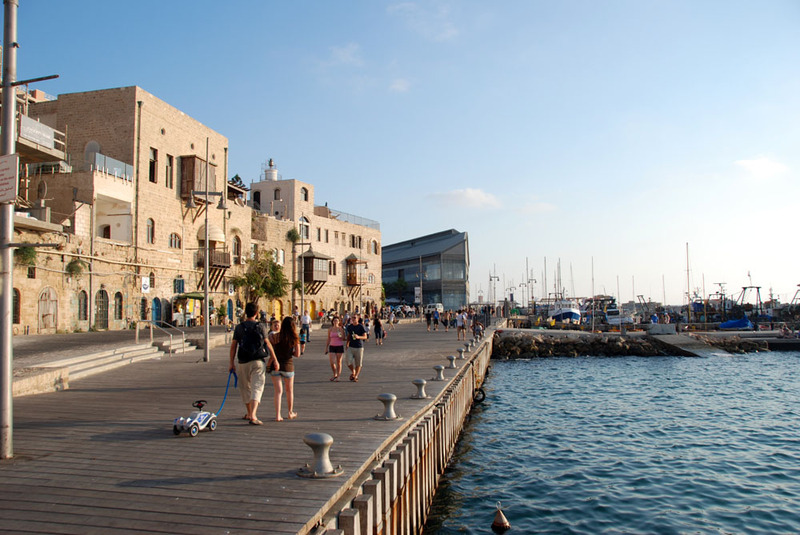 After continuing for a short while towards the sea you will arrive at the picturesque Jaffa Port. The structure of the port itself appears as it did in ancient history. Today it is still fully active as a functioning fishing port and it is possible to buy fresh fish for a fair price along its wharfs. It is possible to stroll along the pier, enjoy a beautiful view and catch a glimpse of the famous Andromeda Rock. There is a lovely marina at the Port where many people sail from on pleasure trips. A variety of sea trips leave here daily to be enjoyed by the fresh sea breeze and the outstanding view of the old city of Jaffa from the sea. The constructions of the Ports area are being preserved and renovated keeping the architecture of ancient times with the ingenuity of modern building. From the Port it is possible to climb up narrow stone steps right to the top of the Old Jaffa Hill. At the hill top the famous Franciscan Church also known as St. Peters Church can be found. This church was established in the 17th Century, in which it is possible to visit the room where, the clergy claim, Napoleon stayed after the conquering of the city. The churches built in Jaffa belong to the main Christian streams, such as the Catholic, the Russian Patriarchate, the Greek Orthodox Church, the Greek-Catholic Church, the Lebanese-Marronic Church, the Armenian Church, the Egyptian Coptic Church and the Lutheran Church. One of the most important sites for Christianity in Jaffa is the house of Simon the Tanner. 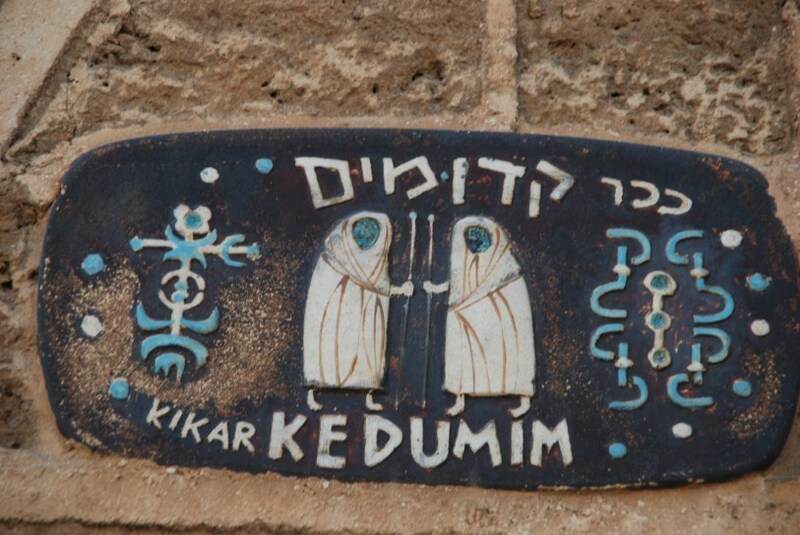 On the roof of this house occurred the miracle of the unclean foods that became clean in the eyes of the Christians. From here, he went out to bring the holy message to all peoples and not just to the Jews. Not far from here is also the grave of St. Tabitha, who died at a young age and, because of her good deeds, was resurrected by St. Peter, who said to her: “Tabitha Rise”.